These are some of the cars, trucks and vans being unveiled at the Detroit Auto Show. For the first time, Audi's S performance line-up will include an SUV. 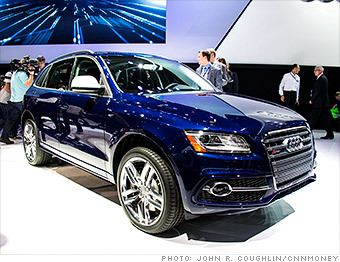 The SQ5 is based on Audi's compact luxury SUV but with the same engine and transmission as the S5 performance coupe. With its 354 horsepower 3.0 liter supercharged V6, Audi promises the SQ5 will go from zero to 60 miles per hour in just over 5 seconds.